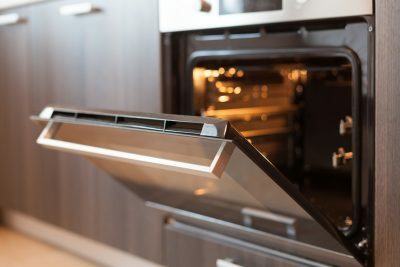 Every time you use the oven, the process may end with a most unpleasant job—cleaning the oven. Grease, oil, spills, and crumbs easily find there way to the bottom. There are many cleaning solutions on the market. You’ll also find special covers. But there’s only one truly effective method that will save time, which is to install an oven liner. An oven liner is a type of mat. It is easy to use and requires no special experience or tools to install or remove. The best thing is—this mat catches any dirt before it sticks to the bottom, burns, hardens, and becomes even more impossible to remove. There are various types of liners available. Check the instructions for the product before you do anything. Most likely, you will have to trim the liner for a perfect fit. An over liner can usually be cut with scissors; when you cut it, leave a one-inch gap at the edges for airflow. 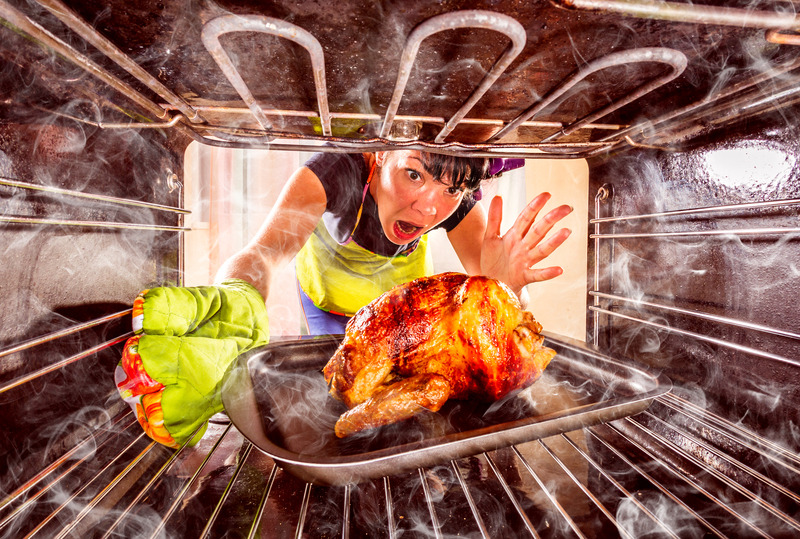 Unless your oven has a heating element installed at the bottom, lay the liner at the base. Otherwise, lay it on the lower shelf or at least an inch above the bottom to avoid melting. Air vents should not be covered, so make sure the mat isn’t in the way. Washing most liners is simple. They are typically dishwasher-safe and get clean with warm water and soap. You can then use the liner again the next time. When you’re shopping for an oven liner, look for a mat or liner that’s made of food-grade silicone, with a non-stick surface. It tolerates high heat (usually up to 500°F), but setting your oven at a higher temperature can damage the liner, potentially releasing dangerous fumes. Teflon-coated oven liners are also available. Avoid silicone baking mats, which are too thin to contain drips and prevent messy cleanups in hot ovens. Aluminum foil is also not a suitable oven liner. It is exceptionally lightweight, so is prone to moving around. Also, aluminum can burn and melt in high temperatures. If the heating element is under the oven floor, take special care when using an oven mat. It can melt and stick to the bottom. The melted material will be harder to remove than food scraps and grease drips. A liner with its own shelf is the best way to avoid this. A thin oven mat can flap around in a hot oven. It may even slip (or float) out when you open the door. Aside from buying a heavy-duty liner to avoid this entirely, you can weigh down the liner with baking cutters, placed on each corner. No matter what type of oven mat you use, remove it before putting your oven into self-cleaning mode, which can cause heat damage to the liner and its coating. 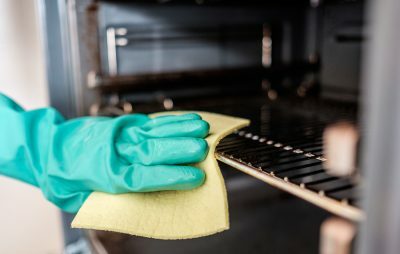 If your oven does get dirty inside, there are ways to make cleaning easier. One is to heat a bowl of water inside; just make sure the bowl is heat-resistant. Vapors that collect on interior oven surfaces can make it easier to wipe off dirt and grease. You can also mix water and three tablespoons of baking soda in a spray bottle. Spray the mixture around when the oven is cold and wait until morning to wipe up the grease. It is always important to check your oven manual or contact your oven manufacturer before applying any of the suggestions mentioned below, as there may be special conditions for your oven. If you need factory-certified Wolf oven service or need to find a reliable, leading-brand replacement? 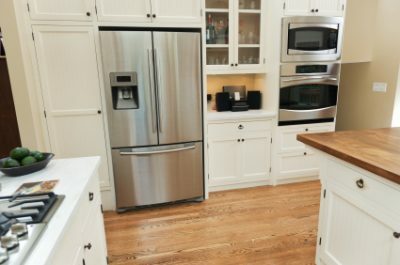 Contact Wilshire Refrigeration & Appliance today!